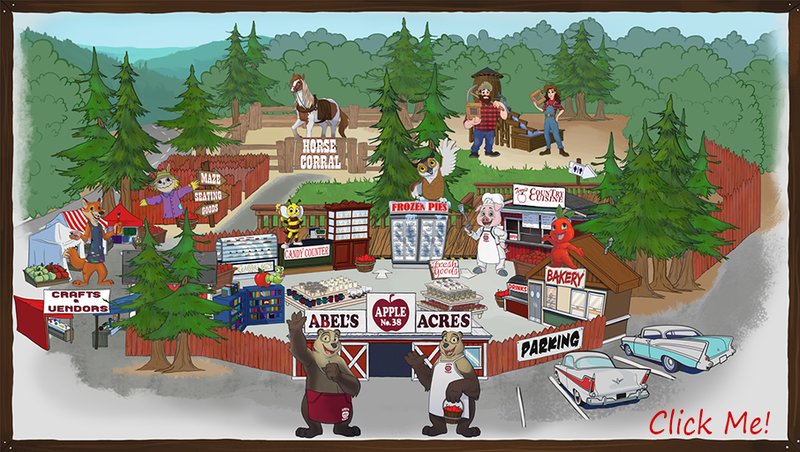 Welcome to Abel's Apple Acres in the Heart of Apple Country! Open daily — Labor Day Weekend to 3PM Christmas Eve. Check out all the great stuff we have to offer! Our People and Our Food are Second to None! Caramel Apples, Country Cooking & BBQ. Our four generation family ranch offers outdoor fun for all ages — from pond and picnic areas to the "field of fun" with an Amazing Maze, Pony/Horse Rides, and Kids' Corral. Enjoy the Craft Faire, Apple Barn with Bake Shop, Candy Kitchen, Apple Pantry, Gifts, Book Nooks for cooks and kids, Deck and Terri's Country Cuisine & BBQ with view and tables for dining. The ranch is located just minutes north of Hwy. 50 in Placerville, El Dorado County. 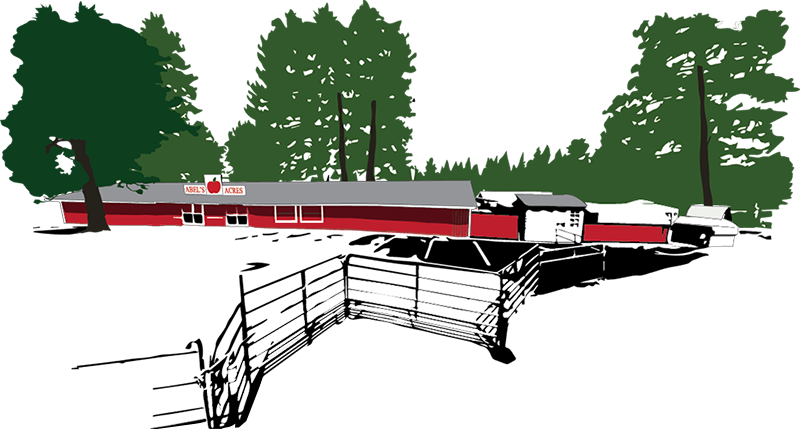 Vist the Map/Amenities page for directions. 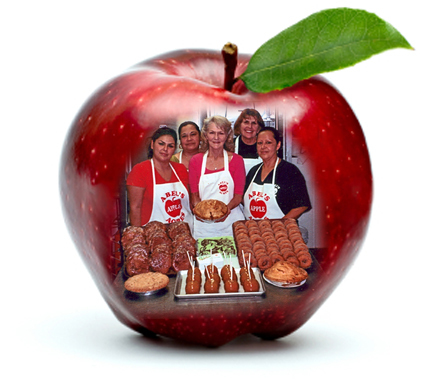 Visitors of all ages who are looking for a special destination which includes wholesome recreation, quality homemade baked goods, fudge, great country cooking and BBQ, and fresh apples will receive a big warm family welcome at Abel's Apple Acres. Evelyn Abel, owner, is proud of the ranch and its history. 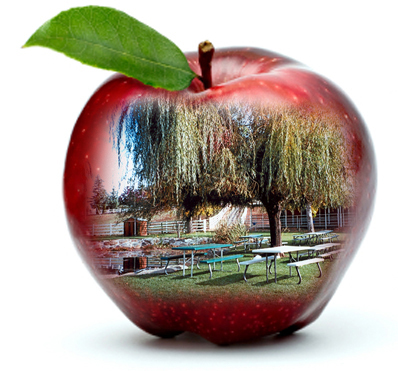 Four generations, who all participate during Apple Hill season, bring a rich heritage of strong family ties and hopitality to this old fashioned ranch and apple orchard nestled in the foothills of the California Sierra Nevada mountains. The ranch is open daily from Labor Day Weekend to 3PM Christmas Eve. 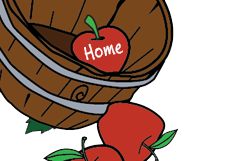 Abel's Apple Acres is located in the heart of apple country just minutes north of Highway 50.